@omgthissuks The Japanese should be ashamed of the multitude and various injustices they brought upon Korea during their 35 years of occupation. 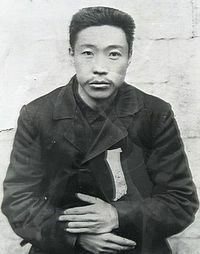 Japanese should be worried about the pride Koreans should feel towards a martyr that not only fought for his country’s independence, but also championed East Asian Peace between China, Korea, and YES Japan. Writing about an incident between two countries, which you aren’t really aware of, is a real bad idea. “Because the Japanese worried that “if Ahn Jung-geun’s body is handed over to the surviving family or impudent Koreans … it will not be good in the future,” its ultimate deposition has become an enduring historical mystery, with China the current likely suspect. Koreans’ intensified hunt for records pointing to Ahn’s grave has been much in the news during the centennial run-up.” this whole statement is biased to Japanese, you don’t deserve to write this passage. The Vietnamese audio threw me off there for a sec.. .LOL.